film critic at Tygodnik Powszechny. She also writes for Ekrany, Kino and the Charaktery psychological monthly. 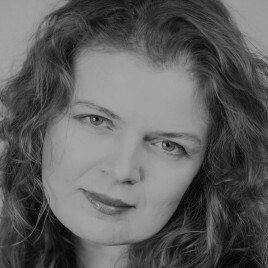 She is a co-author of such publications as Panorama kina najnowszego, Szukając von Triera, Encyklopedia kina, Encyklopedia filmu religijnego, Nowe kino Turcji and Polish Cinema Now! As a member of the FIPRESCI International Federation of Film Critics, she has been on the jury of numerous festivals in Poland and abroad. She also works for the Krakow Film Festival as the curator of the documentary section. In 2014, she received an award from the Polish Film Institute for film criticism.